Sunday next, 22 April 2018, is the Fourth Sunday of Easter. The readings in the Revised Common Lectionary (RCL) for this Sunday are: Acts 4: 5-12 or Ezekiel 34; Psalm 23; I John 3: 16-24; John 10: 11-18. This posting looks at the Gospel reading for next Sunday, which is one that is so familiar to many of us, and to the vast majority of people who are going to be in church next Sunday that it may be difficult for us to find an original and challenging approach to this Gospel reading. There are reflections too on the other readings that provide context for the Gospel reading and alternative ideas for sermons. We are still in the Easter season, as I was reminding us last week. The Easter Season is not just Easter Day and a day or two after while the bank holiday weekend lasts or the children are still out of school, or until the Easter vestry meets. Easter is a season that lasts for a full 50 days. So, while this is not on first reading an Easter or post-Resurrection reading, we have this Gospel reading next Sunday to challenge us to think and to ask who the Risen Christ is for us. In Saint John’s Gospel, there are seven ‘I AM’ sayings in which Christ says who he is. The Dominican author and theologian, Timothy Radcliffe, points out that that in the Bible, seven is the number of perfection. We know of the six days of creation and how God rested on the seventh. In Saint John’s Gospel, we have seven signs and seven ‘I AM’ sayings disclosing for us who Christ truly is. ● I am the True Vine (John 15:1, 5). On Sunday next, the Gospel passage presents us with the best-known and best-loved ‘I AM’ sayings, which is repeated twice in this passage: ‘I am the Good Shepherd’ (John 10: 11, 14). This is such a popular image – one that has been with many of us since our Sunday School and childhood days. I think, perhaps, that the image of the Good Shepherd is one of the most popular images to fill stained-glass windows in our church buildings, surpassed in popularity only by windows showing the Crucifixion or the Last Supper. And the lost sheep is a huggable, lovable, white fluffy Little Lamb, a little pet, no different from the Little Lamb that Mary had in the nursery rhyme and that followed her to school. I remember once, on Achill Island, hearing about a shepherd who went down a rock-face looking for a lost sheep, and who lost his life. Local people were shocked – lambs don’t fetch a price in the mart that makes them worth losing your life for. The sheep survived. But as you can imagine, in the process of being lost, it had been torn by brambles, had lost a lot of its wool, was bleeding and messy. Any shepherd going down after a lost sheep will get torn by brambles too, covered in sheep droppings, slip on the rocks, risk his life. And all for what? And yet Christ says he is the Good Shepherd who seeks out the lost sheep, in the face of great risks from wolves and from the terrain, and against all common wisdom, as the hired hands would know. God sees us – all of us – in our human condition, with all our collective and individual faults and failings, and in Christ totally identifies with us. Christ has already told those who are listening: ‘I am the gate. Whoever enters by me will be saved ... and find pasture ... the thief comes only to steal and kill and destroy. I came that they may have [spiritual] life, and have it abundantly’ (verse 9-10). Now, when he speaks of himself as the Good Shepherd, the image is one that is familiar to those who hear him. True followers, he tells them, recognise the Good Shepherd. Perhaps they are prompted to recall that David too had been a good shepherd (I Samuel 17: 34-35), but this was when he lived on the margins, and before he became king. Would they recall the many Old Testament promises that God would come to shepherd his people (Isaiah 40: 11; Jeremiah 23: 1-6; Ezekiel 34: 11)? When Moses, Aaron and Miriam led the ex-slaves out of Egypt and into freedom, the people learned as they went to appreciate the value of a nomadic life. They learned, first, that everything is a gift from God, symbolised by the manna, the first Bread of Life. And they learned, too, that worship need not be centred in one place. They came to value Tent over Temple and sheep over settled land. To be a shepherd was a noble occupation – a continuing theme in Jewish history. Entering the Promised Land, these nomads found themselves surrounded by nations whose powerful elites ruled by subjugating the poor and weak. Yet this new community understood themselves to be completely differently. They were equal partners with each other. And they were equal partners because – as they learned in their wilderness – they were partners with God, the true owner of the land, with God who, as with the manna in the wilderness, called them to share in common all they had. They had come to value equality and mutual respect. From the beginning, these ex-slaves understood themselves as one people, who lived in an equal partnership with each other and with God by holding fast to the values of the Exodus, when they shared the manna in the wilderness. But by the time of Christ, however, all this had changed. With the development of a royal aristocracy and the adoption of Temple worship under King Solomon, nomadic values faded and social divisions appeared. Social strife and class warfare appeared, and any understanding of the land as an equally shared resource belonging to God disappeared. The kingdom then split into two nations, Israel and Judah, and Judaism split into rival branches. Some were centred on the Temple in Jerusalem, while Samaritan Judaism had its own rival temple on Mount Gerizim. 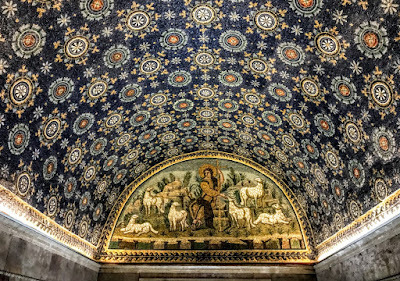 Two kingdoms, two Temples, fear and hatred, injustice and inequality, were in sharp contrast to Christ’s message of radical inclusion, symbolised in Saint Luke’s image of the Good Samaritan and Saint John’s image of the Good Shepherd. In Christ’s time, shepherds are the dispossessed, the lowest rung of society. They no longer own their own land. And when they longer owned their own sheep they often ended up as the hired hands of the wealthy urban dwellers, the absentee landlords who feature in so many of the Gospel parables. These hired shepherd-servants depend for their livelihood on work that requires them to be out in the fields and away from their mothers, wives, sisters, and daughters, the family members any honourable man would have stayed home to protect. As a result, shepherds were considered to be men without honour. At best, they were unreliable; at worst they were borderline bandits. Shepherds are despised as much as Samaritans. In this context, a good shepherd, like a good Samaritan, is a contradiction in terms. As with Saint Luke’s story of the Good Samaritan, Christ uses the image of the Good Shepherd, a despised external ‘other,’ to challenge our preconceptions about others. The invitation is to think about what is really important in human relationships. And Christ’s answer is always the same: compassion, individual moral character, and generous, inclusive action. We are not to condemn by assigning human beings to hated categories. Now he says that he is the ‘good,’ the real or proper ‘shepherd,’ the one who dies for his ‘sheep,’ his flock (verse 11). But the ‘hired hand’ (verse 12) does not care enough to save the sheep from the ‘wolf.’ Old Testament prophets spoke of leaders of Israel in these terms, so Jesus probably speaks of them here – shepherds who are not worthy of the name. Christ’s relationship to people is like the Father’s relationship with him (verse 15). Who are the ‘other sheep’ in verse 16? Are they the Samaritans? Are they non-Jews, the gentiles, the nations? They will have equal status with those who already follow Christ, as part of one Church. Christ has been given the authority to choose to die and the power to rise again from the dead. He is in control of his own death and resurrection. A truly Easter theme for the Fourth Sunday of Easter. And how should we respond to that? The answer to that is provided by the context in which people are going to hear this Gospel reading tomorrow week: the context of the other readings. The most obvious and most likely connections to be made between the readings tomorrow week is that between the Gospel reading and the Psalm (Psalm 23). Even when we are beset by evil or find ourselves in the ‘darkest valley’ (verse 4), we have nothing to fear. God’s ‘rod,’ the shepherd’s defence against wolves and lions, protects us. His ‘staff’ (verse 4), used for rescuing sheep from thickets, guides us. The feast (verse 5) is even more impressive, for it is laid out for us, the table is set for us, in the presence of his foes. Kings were plenteously anointed with oil, a symbol of power and dedication to a holy purpose. The psalmist trusts that God’s ‘goodness and mercy’ and God’s steadfast love (verse 6) will follow or pursue him, as do his enemies, throughout his life. He will continue to worship in the Temple or ‘dwell in the house of the Lord,’ as long as he lives. The Revised Common Lectionary provides for either an Old Testament reading or a reading from the Acts of the Apostles as the first reading: either Acts 4: 5-12 or Ezekiel 34; Psalm 23; I John 3: 16-24. And the intention is that you should prefer to opt for the reading from Acts rather than Ezekiel for the first readings. In the previous Sunday’s reading (Acts 3: 12-19; the Third Sunday of Easter), we hear how Peter and John go to the Temple to pray, how Peter heals a crippled man, who then walks and leaps and praises God (Acts 3: 8), and he enters the Temple with them. Peter then calls on the people to repent of their waywardness and to ‘turn to God so that your sins may be wiped out, so that times of refreshing may come from the presence of the Lord ...’ (Acts 3: 19-20). While Peter and John are speaking (Acts 4: 1), they are arrested for ‘proclaiming that in Jesus there is the resurrection of the dead’ (verse 2). Now, this coming Sunday, we hear how the Sanhedrin meets the next day (4: 5). The elders were religious and local judges; the ‘scribes,’ mostly Sadducees who did not believe in an afterlife, were experts in the Mosaic law and its interpretation. Among them (in verse 6) we find Annas, a former high priest who is the power behind the throne – five of his sons became high priests. Caiaphas, the high priest 18-36 AD, is his son-in-law. John may be Jonathan, Caiaphas’ successor. We do not know who Alexander is. John and Peter are asked to explain who gave them power or authority to cure the lame beggar (verse 7). It is interesting that the power and authority that challenges and perplexes the ruling hierarchy in Jerusalem is not a challenge to their right to monopolise the office of High Priest, but their work with someone who, because he is both disabled and poor must sit outside the Temple gates, has been excluded from full religious rights, is not accepted as a member of the religious community, is one of the lost sheep. In the Epistle reading, Saint John the Divine, Saint John the Evangelist, tells us that our response to this outpouring of love from God, an outpouring that is risky and beyond all human understanding of generosity, is to love. To love not just those who are easy to love, but to love those who are difficult to love too. And to love beyond words. Jerome, in his commentary on Chapter 6 of the Epistle to the Galatians 6 (Jerome, Comm. in ep. ad. Gal., 6, 10), tells the well-loved story that John the Evangelist continued preaching even when he was in his 90s. Saint John was so enfeebled with old age that the people had to carry him into the Church in Ephesus on a stretcher. This continued on, even when the ageing John was on his deathbed. Then he would lie back down and his friends would carry him back out. Love one another. God loves us. We ought to – no, we must – love one another. All of our concerns – which may include global warming, the causes and effects of poverty, the AIDS crisis, healing and wholeness, how we cope with new life and with death in our parishes – come back to that core question: how do we love another?